When an athlete chooses to compete in a sanctioned event or as a member of a national governing body in sport, whether it be an Olympic athlete or a Masters athlete, the individual is not only accepting the opportunity to be in the spotlight, but also under the spotlight when it comes to clean sport. As such, athletes who are subject to anti-doping rules must be particularly vigilant about the substances they consume, medical treatment they receive, people they associate with, and competitive practices they accept. This vigilance means recognizing high-risk behaviors and situations to minimize the risk of a positive test, adverse health event, or rule violation. While USADA is always available to help, athletes also need to be able recognize clean sport red flags, so as to protect their health, their reputation, and their livelihoods. Under the World Anti-Doping Agency (WADA) Prohibited List, there are very specific rules governing the use of IV infusions. Under the WADA Prohibited List, all IV infusions and/or injections of any substance, prohibited or permitted, in excess of 100 mL per 12-hour period are prohibited at all times, except for those legitimately received in the course of hospital treatment, surgical procedures, or clinical diagnostic investigations. 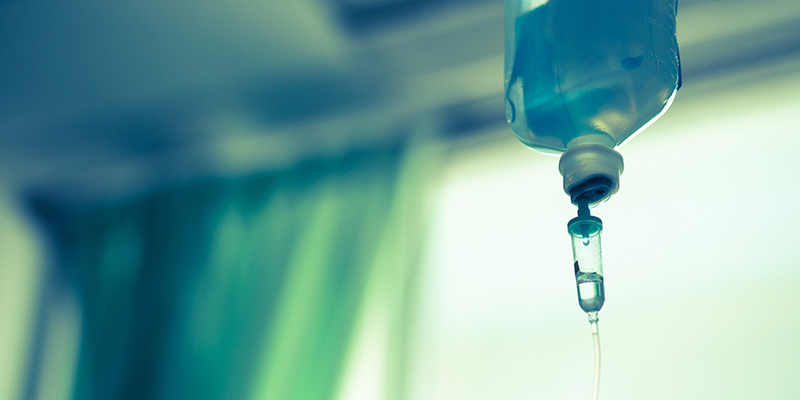 In all other circumstances, an approved TUE is required in advance of an IV infusion above the limit and/or involving a prohibited substance. The specificity of the IV rules mean that there is very little room for error, so athletes should only use IVs when medically necessary under the care of a physician. Athletes should be wary of IV infusions received through home visits, urgent care offices, after-hours clinics, doctor’s office visits, and boutique IV and rehydration services, as they are not considered hospital treatments under the WADA rules. As IV infusions and injections are considered “non-Specified” under the WADA Prohibited List, the minimum sanction for a violation is a one-year period ineligibility, regardless of the circumstances. Athletes are also reminded that normal rehydration can usually be achieved by eating normal meals and drinking beverages like water and sports drinks. If rapid recovery from dehydration is required, medical best practices indicate ingesting 1.5 L (50 fluid oz.) of fluid for each kilogram (2.2lbs) of body weight lost. More information on IVs can be found on the USADA Explanatory Note.